Eileen’s three passions of cooking, teaching and creating recipes has led to the creation of her new brand Eileen’s Kitchen Table – Catering, Courses, Cookbooks. 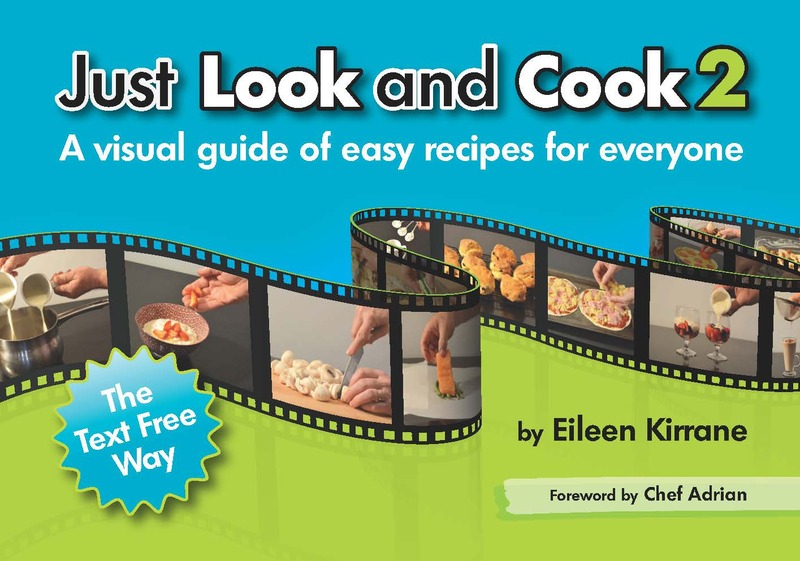 In 2013 Eileen’s created her first book “Just Look and Cook” which was aimed at beginner cooks, children, college students and people with disabilities. Its success is attributed to the simple text-free method, photographic illustrations and an uncomplicated measuring system which has set this concept apart from others. Cooking is made simple and accessible and can be enjoyed by everyone. Following on from the success of Just Look and Cook, Eileen has published her 2nd book, Just Look and Cook 2 in October 2018. This edition has additional recipes using both the original and new methods which have been introduced after feedback from the first book. 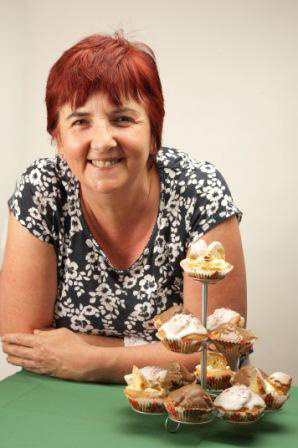 Research and trials from the first edition led Eileen on a new venture of becoming a cookery tutor and she now offers to share her skills through her cookery courses. Eileen’s passion for cooking doesn’t stop there. A reputation which has built up through catering at local events, the books and cooking classes have brought Eileen to share her craft through her own catering company (Kilverneen Catering). Locally sourced ingredients are freshly prepared on the day of your special event and parties of all sizes can be catered for. Eileen hosts courses in her home in Cloonacool, Sligo and “Come Dine with Me” afternoon tea parties. A special treat for any occasions. We also cater for sporting events at pitches and also in their club houses and are currently working with a number of clubs in Sligo. We are delighted to now combine all three elements of the business, catering, courses and the cookbooks under one umbrella, welcome to Eileen’s Kitchen Table. The Just Look and Cook series of cook books is an innovative way to cook. No need to weigh – use mugs & spoons instead. So come on, follow my hands & get cooking. Everyday recipes made simple, even for the absolute beginner. Just Look and Cook has been an massive hit with the students here at IT Sligo. The book is detailed but very easy to follow and I believe that it is a must have for any student heading away to college for the first time. The students in our Centre have found Just Look and Cook a very attractive book when I showed it to them. The clear photos and step by step methods make it very easy to understand and the shopping list simplifies purchasing what is needed. We are planning a ‘Life after Youthreach’ Summer Programme and as it is so good I intend to use it more fully as a practical guide to our learners who are moving on to the Big World!!! My daughter, a student in London, has found it very helpful for herself and fellow students who have English as a second language and also for those who do not have a weighing scales.